The track is just about a mile as the crow flies from our Saratoga Springs NY Hotel. It can be a pleasant walk through Congress Park and up picturesque Union Avenue. You may decide to drive and there are many options for parking, NYRA has designated parking lots, street parking (watch the No Parking signs) and locals opening up their yards. Taxis are available and there is a trolley that runs around town dropping riders by the track. After a day at the races, Siro’s restaurant, located just outside the clubhouse gate is a longstanding place to see and be seen. You can party with the racing elite and the winners (or losers) for the day. If that is not your cup of tea, head downtown to one of the many outstanding restaurants for a relaxing dinner. Today the meet has grown to forty days, racing five days a week, (Monday and Tuesdays are dark days, which mean, in Track lingo, no racing) ending on Labor Day. 2019 Racing begins on Thursday, July 11th and end on Monday, September 2nd. Before the notoriety of the thoroughbred race course, Saratoga Springs was famous for the mineral springs that were thought to have healing powers that cured a varied list of ailments. Tourists came to Saratoga to drink from the springs and bathe in the mineral waters. Many decided to stay and by the middle of the 1800’s the small village of Saratoga grew into a town and eventually a city. People from all over the world came to Saratoga to partake of the “healing waters”. Wealthy industrialists and business men made Saratoga their summer escape, building mansions throughout the town. Along with that, the town garnered a reputation for tourism and gambling. The Civil War was far removed from the Saratoga crowds and minds, so in 1863, just a month after the Battle of Gettysburg, casino owner and former boxer, John Morrissey oversaw Saratoga’s very first thoroughbred meet on an old dirt track on Union Avenue. Several thousand people came to wager and watch eight races a day for four days. They left clamoring for more. Morrissey deemed it successful enough to entice several of his wealthy friends and associates to join together to form the Saratoga Racing Association. They purchased a 125 acre parcel of land across the street from the original race location and constructed a grandstand. The rest, as they say, is Saratoga history. The Saratoga meet attracts about 1 million spectators each year, and the thoroughbred yearling sales at Fasig-Tipton in Saratoga Springs each August bring in wealthy investors from around the world. Regular racing fans will begin booking their seating at the track and their overnight lodging as soon as the big stakes races are announced, usually in January and February. The Travers, the most well-known racing event for the season, always takes place on the last Saturday in August. Called America’s midsummer Derby, The Travers Stakes, is a chance to see many of the Triple Crown horses race. If you are new to the racing game, you may want to consider a mid-week visit. The crowds are not as large and you can take time to learn the ins and out of the track and the city. 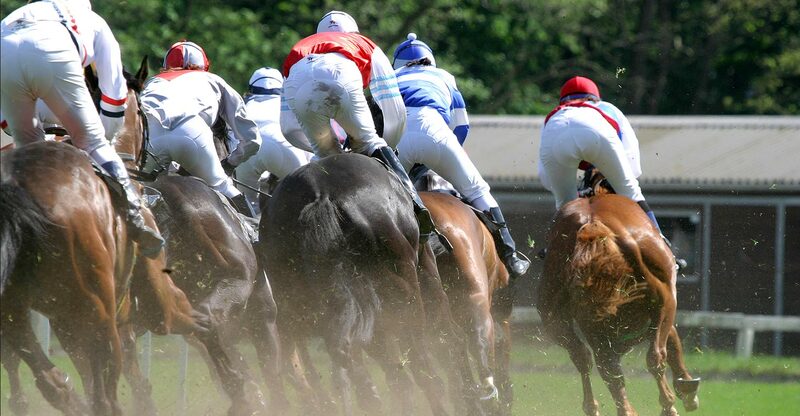 Remember, there is no racing on Mondays and Tuesdays during the meet, but view our top things to do in Saratoga Springs as there are many other things you can do any day where there is no racing. From New York City you drive north for about 175 miles, turn left on Union Avenue and go back 100 years. The gates usually open at 11:00 am and post time for the first race is 1:00 pm. There are usually 10 races a day with anywhere from 5-12 horses in the race. Most races are run on the dirt track, a few are turf races, run on the grass in the inner oval. On Thursdays, fans are treated to Steeple Chase races. 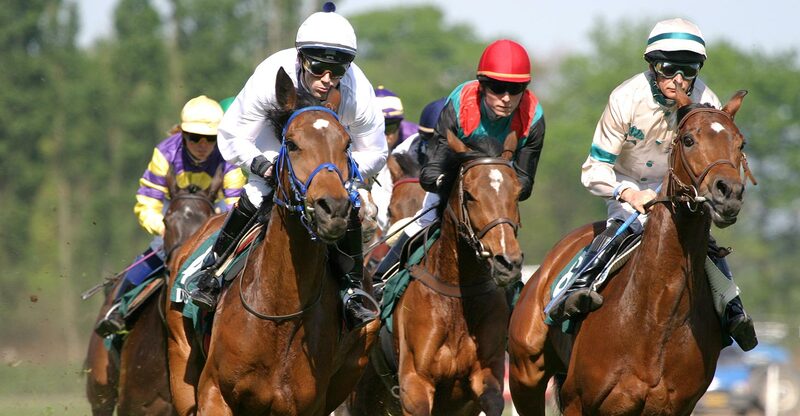 There are approximately 20 minutes between each race, allowing time to place your bet for the next race or collect your winnings from a previous race. It is also enough time to stroll down to the paddock area and to watch the pre-race parade of horses, jockeys, trainers and owners. Listen for the iconic bugle call sounding the entrance of the horses on the track and leaving 10 minutes until the start of that race. To get your bearings, see a map of the Saratoga Race Course grounds. For 125 years, the crowds have flocked to Saratoga in August, drawn by the spring waters, the social whirl and, of course, the loveliest racetrack of them all. General/Grandstand admission into the track is normally $5.00 person. This is the casually dressed side of the racetrack. Track goers are given access to Grandstand seating (must be reserved in advanced), Picnic seating and the Paddock area. Club House admission is normally $8.00. Club House admission gives you access to Club House grandstand seating. It also gives you access to the Turf Terrace, The Club Terrace, The Porch, The Easy Goer (formerly the Carousel) and 1863 Club restaurants (The club house seats and restaurants must be reserved in advanced). If you are a horse owner or “know someone” you can also secure to the coveted box seats. The very first thoroughbred meet at Saratoga happened a month after the battle of Gettysburg. It was organized by casino owner, gambler and ex-boxer John Morrissey on August 3, 1863. The four day meet drew thousands of locals and tourists. That track offers a variety of seating options to enjoy a day at the races. Many of these options require advance bookings. Please note: Entrance to the Saratoga Race Course does not include seating or dining. Those must be purchased separately. The following are many of the options available for seating during a day at the races. You can put on your afternoon best, with a big hat or a fascinator for the ladies and a bow tie or ascot for the gents and enjoy the Club House restaurants. Located on the third and fourth floor of the Clubhouse, The Turf Terrace Dining Room offers great views of all the action overlooking the finish line. Lunch for the a la carte menu is served in a formal open-air setting. Saratoga Arms has a daily table here for every day of the track. 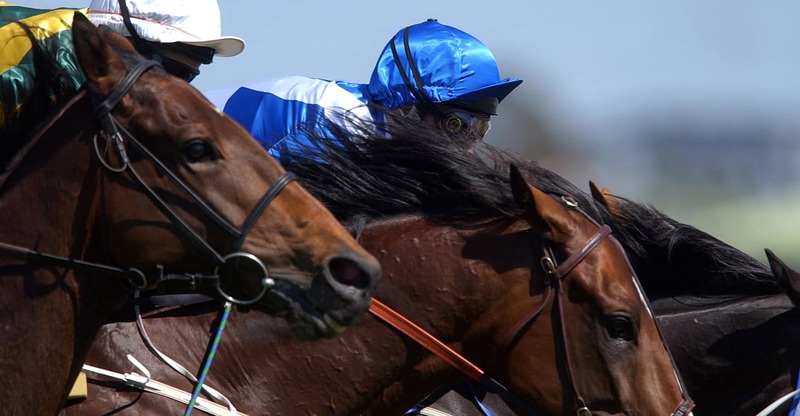 A perk of staying with us is the ability to book a table for a day at the races! Call us 518-584-1775 for availability. Dress Code: No jeans, shorts, sneakers or flip-flops. Gentlemen – collared shirts required. Ladies – dresses, skirts or neat slack outfits. Is on the second floor of the Clubhouse behind the box seat area. It overlooks the backyard & paddock and offers a selection of appetizers, salads and sandwiches in a casual open-air setting. Although this seating area does not face trackside, TV monitors are available to watch the races. Dress code-neat business casual. For avid Saratoga Race Course fan the 1863 Club is formally the At The Rail Pavilion. Now a permanent 3 story, climate controlled structure, the 1863 Club boasts a state of the art modern sport facility with large suites and a restaurant for box holders. Stay tuned for more info as we receive it. They are building it as we speak and will be unveiled during the 2019 season. Dress Code: No jeans, shorts, sneakers or flip-flops. Gentlemen – collared shirts required. Ladies – dresses, skirts or neat slack outfits. Once the gates are open you can choose to go through the general admission turn styles. If you don’t want to get dressed up for the day but love to watch the horses. There are many casual options for your day a the track. Facing the track, but closer to the top of the stretch, the Grandstand reserved seating is generally purchased prior to arrival. Some seats are also available for same day racing in the morning at the Union Avenue gate or inside the track at will call window. The Stretch, the all-new exclusive, private hospitality area features modern and upscale amenities, is located in the Grandstand at the Top of The Stretch. Some of the amenities for this casual, fun space are bar featuring creative cocktails, beers and wines, full-service kitchen and concession area with food and beverage delivery at your seats, touchscreen tablets throughout for betting, ordering food and beverage and watching live TV, private restrooms and betting windows. If you are wanting a truly casual day, the Backyard Picnic seating area might be a good choice. You have the ability to reserve either pre-reserve a picnic table or head over to the track, day of, and “reserve or hold” a picnic table with a newspaper or program. In order to secure a picnic table this way, you MUST be at the track when the gates open for breakfast, usually around 7am. The best way to secure advanced RESERVED seating to the races is to buy them via NYRA’s Reserved Seating website. If a DINING seat in one of Saratoga Race Course’s Dining Room is more up your alley, NYRA has availability online at TOCK or call NYRA Dining at 888-516-6972 from 9:30 am to 5:00 pm daily or email SaratogaDining@nyrainc.com. It’s a winning perfecta regardless, as Saratoga Springs delivers both spa days and race days with equal finesse. A perennial destination of the affluent and the artistic, it still retains an almost Rockwellian air, especially the Broadway district. Betting, despite what the experts say, is an inexact science at best. You can purchase a Racing Form and study all the statistics on each horse, jockey and owner and determine your pick from that. The daily programs at the track also offer similar stats for your perusal. 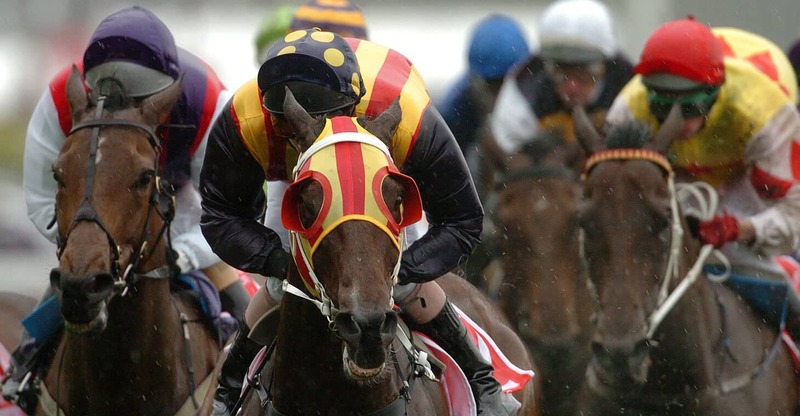 Some bet on the horse based on its record, some swear by the skill of the jockey. Still others choose by the horse’s name, the jockey colors or just by a favorite number. Win, Place or Show it is fun to have a “horse in the race.” Remember, the best luck is beginner’s luck! If betting on the horses doesn’t hold much interest for you, how about viewing the top 10 reasons for a non-gambler to attend the Saratoga Race Course. However you slice it, a day at the “track” is great fun! Fans here lined the streets to watch American Pharoah’s van arrive and camped out overnight to secure the perfect spot to watch him race.